For two weeks, explore Massachusetts' Berkshire Hills, Vermont's Green Mountains and New Hampshire's White Mountains. 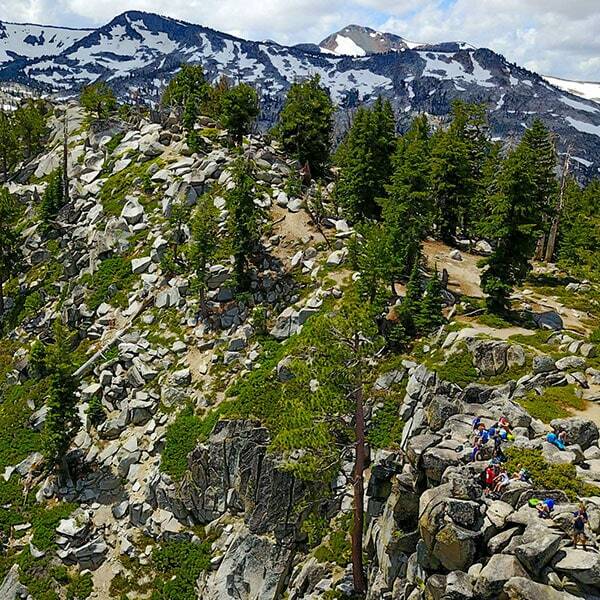 Hike to the highest points in each state, developing skills and fitness while having fun and making friends. Off the trail, head to the coast of Maine for sea kayaking and experience the beauty of New England from a different, and equally stunning perspective. Explore the best of New England by foot and kayak. Designing a two-week hiking trip is simple really. First, we consider the students: many are first-timers at this kind of thing. So we calibrate the trip and pace appropriately. Then we need a beautiful area to explore. New England Explorer hits the mark in all these ways—good for first-timers, just the right pace and a beautiful place. See, it’s simple. Really. Start with day hikes. No heavy packs—just lunch and water—and a reasonable goal. On New England Explorer, we start in the Berkshires and the Green Mountains, where green hills become mountains, and there’s a perfect balance of challenge and fun. Over time add more challenge. Take on Vermont’s larger mountains—still a day hike, but higher and longer. Then head to New Hampshire’s White Mountains—craggy, handsome peaks with a rich and storied history—for three days of backpacking. Top it off with a hike to the top of Mount Washington. At 6,289 feet, it’s the highest point in New England—a great adventure and an ideal challenge. Then mix it up and try something new. Head to the coast of Maine for two days of sea kayaking. Paddling is a great way to explore the area, offering a close look at the bays and islands of this famous and picturesque coastline. At trip end, celebrate everything—the adventures and accomplishments, the friendship and fun. Now that’s a nice trip. Thank you for the best two weeks of my life! The best two weeks of exploring in New England. After meeting in Williamstown, Massachusetts, we’ll spend two days camping and hiking in the Berkshires and Vermont’s Green Mountains. We’ll celebrate our first few days of hiking with lunches on summits or at beautiful vistas while taking in panoramic views. We’ll head north to the heart of the Green Mountains and go on a series of hikes that will build our endurance and strength. During our days in Vermont, we will also find time to swim in pristine mountain lakes and visit the Ben & Jerry’s ice cream factory. In the rugged White Mountains of northern New Hampshire, we’ll don our backpacks for a three-day backcountry hike. We’ll walk along ridgelines, enjoy spectacular panoramic views and prepare for our climb up Mount Washington (6,288 feet), the highest point in the Northeast. We’ll ascend via the fabled Tuckerman’s Ravine trail to enjoy the summit’s sweeping views of the Presidential Range. Near the end of our trip, we’ll spend two days kayaking and enjoying the peaceful beauty of coastal Maine. We’ll tour the rocky coves, secluded bays and wild islands of this picturesque coastline. At trip end, we’ll return to Williamstown and look back on two weeks of outdoor exploration. We’ll celebrate our adventures, our accomplishments and the friendships we formed along the way. 9 nights of frontcountry camping. All campgrounds will have access to hot water and flush toilets. Some facilities may include showers and laundry. 3 nights of backcountry camping at established campsites. Campsites may have a primitive, small shelter and an outhouse. 50-70 liters or 3,000-4,300 cubic inches (if you plan to do longer backpacking trips in the future, consider purchasing a pack that is towards the higher end of this range). Before purchasing a backpack, find your backpack size by measuring your torso length and your hips (instructions are available here). We recommend getting fitted at a store and trying on multiple packs. A lightweight, compact synthetic sleeping bag rated to 30 degrees Fahrenheit or less. A synthetic sleeping bag is required for this trip; down is not appropriate as it does not insulate if wet. Your sleeping bag should compress into a stuff sack no larger than 20" in length. What is the weather like on New England Explorer? You will need to arrange transportation for your child to and from Albany International Airport (ALB) at trip start and end. We will provide more specific travel information once we have placed your child on a trip. If your child is not flying to the start of the trip, he or she should be dropped off and picked up in Williamstown, Massachusetts. Hike, backpack and sea kayak the best of New England. On New England Explorer, you will hike on well-established trails over a wide range of terrain, from meadows to hills to mountains. You'll start with day hikes where you'll carry just the essentials for the day (snacks and lunch, water, a hat, sunglasses and sunscreen, bug spray, and a raincoat). 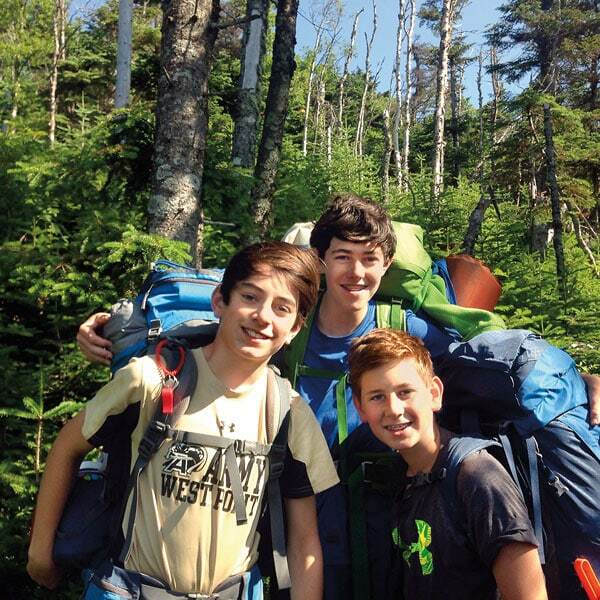 As the group's skills and fitness increase, you'll set out on a multi-day backpacking trip. While backpacking, you will carry all of your belongings (clothes, sleeping bag and pad), some group gear, food and water. 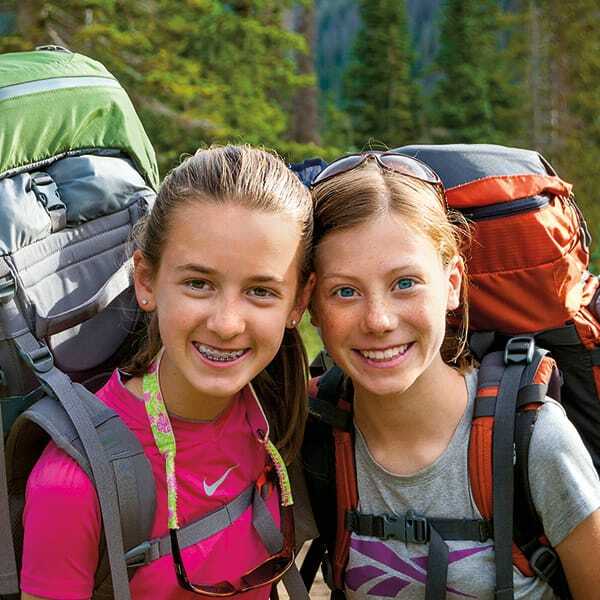 Typically when backpacking, pack weights average about 30% of a hiker's weight. In the month before your trip starts, you should break-in your hiking boots (wear them a lot!) and complete the pre-trip training (see below). Once on your trip, you'll find that enthusiasm and a positive attitude on your part will help to make the trip a success for you... and for everyone in your group. 4 weeks before your trip: three 45-minute hikes or walks in your boots. 3 weeks before your trip: three 60-minute hikes or walks in your boots. 2 weeks before your trip: three 90-minute hikes in your boots with a backpack loaded with 10% of your body weight. 1 week before your trip: four 2-hour hikes in your boots with a backpack loaded with 20% of your body weight.